My blog is officially three, Aidan is officially 2, and the New Year will be here in a day or so. What a year. Thank you for reading, expanding life’s circle, and making my life richer in the process. Happiness, good health, and all the blessings of the New Year to you, my friends! 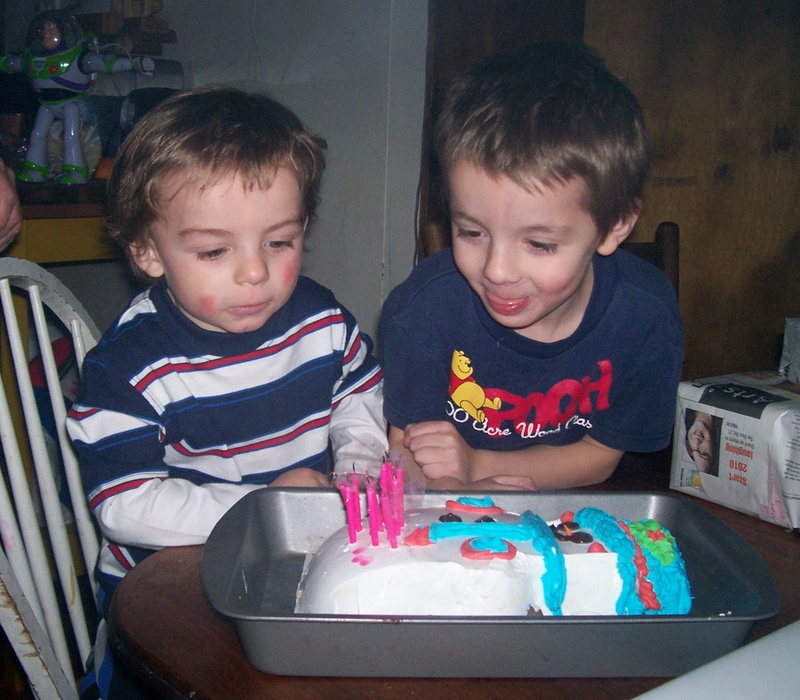 Blowing out candles is what brothers do best. Finally, the day after Christmas, we’re having our first real honest-to-goodness snow storm! 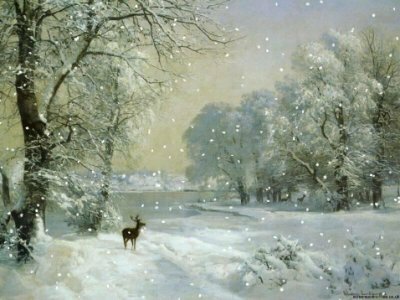 There’s nowhere we have to be, plenty of milk, cream, cocoa, tea, and coffee (covering the holy trinity of hot beverages) on hand, and thus we can hunker down and enjoy the view. With me and the boys down with colds, visiting my mum and her chemo-depressed immune system for Christmas was out of the question. So we had a quieter sort of holiday. Which is the sort of holiday our economic reality is happiest with anyway. Though not the kind of quiet that means silent — my stepsons brought fireworks. Rather a lot, actually. Because nothing says Christmas like explosives. I read The Immortal Life of Henrietta Lacks (an interesting follow-up to my reading of The Emperor of All Maladies — the writing’s less elegant, the science less difficult, but the story of the Lacks is utterly heart-rending), the new issue of Poetry Northwest, an urban fantasy novel whose title I won’t mention because I can’t wholeheartedly recommend it but which held my attention, and I’m 440 pages into The Amazing Adventures of Kavalier & Clay, which I really love and I’m trying not to rush through. Without re-reading something from my shelves (which is not out of the question by any means) I’m currently without a volume of prose on poetry, having returned Mentor & Muse to the library — any suggestions, anything new out there I may not have heard about or read already? “And why is he lonely?” I asked. “Because his parents are gone,” Vincent replied mournfully. I told Lance how delighted I am that our not-yet 5 yr old’s world includes the idea of a poetry reading. Vincent is still telling his Syllabo stories, but they’ve taken on a darker cast: expanding the family even further — “Syllabo has another mother and father, and two sisters…” — he stopped short…”but actually she only has one sister now. The other one died.” Oh. Let’s not explore that. When he and my husband returned from a long walk yesterday, Vincent announced excitedly, “Mommy, we saw Daddy’s father! We did, we saw him! Only he’s little right now.” Come again? Oh. He met a little boy with the same name as his late grandfather. Same name ≠ same person.